Day 2 (Wednesday) at the Green Sports Alliance Summit in Houston generated more news than any single day in the four summit’s GreenSportsBlog has attended. So let’s get straight to it. 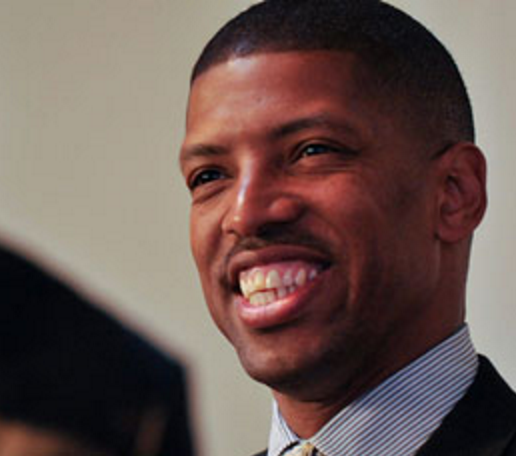 Sacramento Mayor and former Phoenix Suns All Star guard Kevin Johnson, whose arrival in Houston and his speech at the summit were delayed by a day by extreme weather (“climate impacted my climate change remarks”), opened Wednesday’s plenary session with some big news: The California capital city, home to the NBA’s Kings and their brand new, first in the NBA, LEED Platinum certified Golden 1 Center^, will host the 7th annual Green Sports Alliance Summit in 2017. Mayor Johnson related that, back at the 1st summit in 2010, he had pressed Alliance leadership to come to Sacramento. But the Kings, the only major sports league team in Sacramento, were threatening to move to Seattle and the team’s arena was substandard. Fast forward to 2016: The Kings are safely ensconced in Sacramento. This, after an epic come back reminiscent of an NBA game, in which Mayor Johnson rallied the public and the local business community, to make the commitments necessary to keep the Kings in town. The biggest of those commitments was the financial support from the city, generated without raising taxes#, that allowed for the design and construction of Golden 1 Center, the site of next year’s summit. Drought-friendly, as it will save 2 million gallons of water annually via smart plumbing and water use management systems. The first indoor-outdoor arena in the US and perhaps the world. One end of the building will be largely open, which will allow the region’s “Delta Breeze” to enter in the early evening, cooling the arena and saving on energy use and cost. “Farm-to-fork” as 90% of the food will be locally produced, much of it organic. OK, I have to admit; Sacramento was not on my radar as a place to visit. But after Mayor Johnson’s pitch, my mind is changed and I eagerly look forward to GSA Summit 2017 at Golden 1 Center. 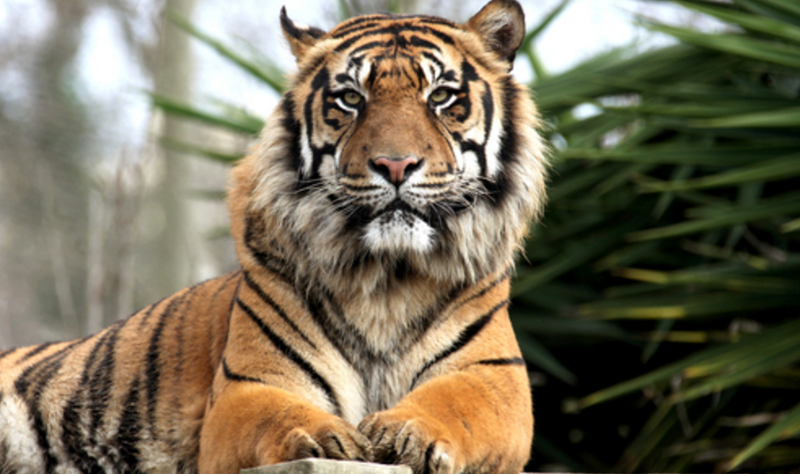 “Species extinction continues to accelerate,” threatening 3/5 of the animals used in pro sports as mascots. The response to these ecological threats by the sports industry “has been meaningful and continues to grow” domestically and internationally, with a myriad of non-profits, leagues, teams and universities engaged in greening our games. Recycling at games is nearly with universal, with 94 percent of respondents to a survey fielded by Sports Business Journal and the Alliance; 83 percent report installing LED lighting and 67 percent manage food donation programs. Hershkowitz also took the NFL and MLS to task for not measuring key environmental performance indicators—on energy, water, and waste, á la their MLB, NBA and NHL counterparts. And he rightly, to my way of thinking, shed light on how “the in-venue, on-screen silence about ways to address climate change, which might put our troops in harms way,” while the teams celebrate those same troops in patriotic displays. The GSA is well positioned to take on these challenges and “is in fine shape,” said Hershkowitz, as he leaves to build an international counterpart to the Alliance to work on similar issues. In what must have been a first for the GSA, a Head of State appeared in one of its videos as Canadian Prime Minister Justin Trudeau heralded, in both English and French, mind you, Ference’s groundbreaking work on a variety of environmental initiatives. 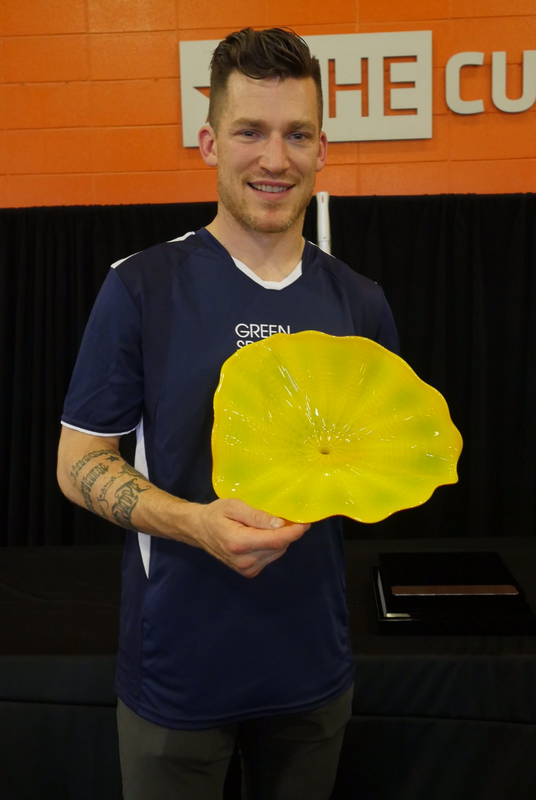 In his acceptance remarks, Ference said that he, along with the Alliance, will work to identify, engage and convene other eco-athletes to join the green-sports movement. And the GSA announced that Ference has joined its Board of Directors. Thus ended one long, newsy and steamy* day and night at the Green Sports Alliance Summit in Houston. ^ Golden 1 Center opens this October with Sir Paul McCartney. # Much of the revenue was raised by leasing city-owned parking garages to private interests. The leases were structured in such a way so that the lessees made their payments upfront which provided the city with the cash to cover their portion of the arena’s construction costs. The Kings paid the bulk of the costs. * Did I mention it was hot and humid in Houston? No? It was! Nice job Lew. It was a Summit to remember! And Ferences award and Trudeau speech made me cry! Thanks Dave. Agree–it was a Summit to remember. And I’d really like to know how the heck the GSA got Trudeau to make that video.